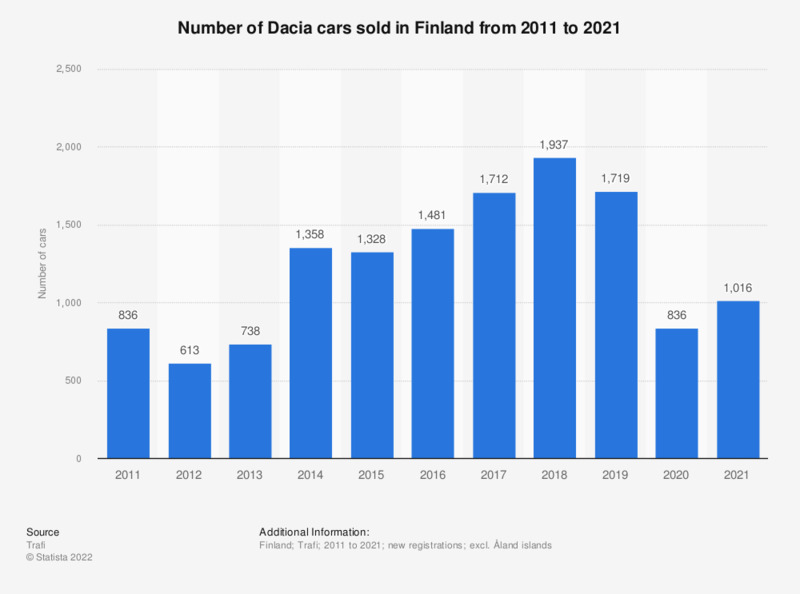 This statistic shows the number of cars sold by Dacia in Finland between 2010 and 2018. Finnish sales of Dacia cars increased strongly. In 2018, 1,937 new Dacia cars were registered in Finland.